Why Is Rub Testing Important? | What is Rub Testing? Federal and local governments and industries have standards to promote safety and quality. Businesses that are in compliance with these standards help boost consumers’ confidence in their products and services. For this reason, the fabric industry and the makers of packaging labels regularly subject their products to rub testing. For printed labels, the rub test gauges the amount of abrasion or scuff that may result during shipping, handling or storage. The test may be used for the labels of pharmaceutical products and medical devices, as well as the characters on keypads, for example. These labels must be legible and stand up to wear over time. One of the standard apparatus for performing ink tests on labels and printed materials is the SUTHERLAND® 2000™ Rub Tester. For label testing, the device puts a label in the machine, and, using the same device, attaches a similar label to a weight. By rubbing the two labels together at a specified speed for a specified period of time, the examiner can see how well the label resists damage. In the textile industry, a rub test determines the colorfastness of the color or dye in a fabric. It is an essential test. Fastness to rubbing also determines how well a fabric will resist stains. A test for fastness to rubbing can be performed on dry or wet fabric. The tester needs a small piece of the fabric and a white test cloth. The test cloth is put on the grating and stag using stainless steel wire. The cloth swatches are rubbed together to see how much color rubs off on the test cloth. The examiner then uses the grey scale to access the degree of change in color. 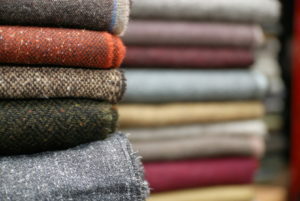 If a fabric has good colorfastness, it is likely that it will resist fading when washed. Good marks on the rub test also indicate that a fabric is durable. The rating scale is Grade 1 to Grade 5, with 1 being a high degree of color transfer and 5 being no color transfer. Factors affecting the outcome of this test are how well the fabric is made, its color, its darkness, and how it will be used. Ensure your product quality standards are hitting the mark. Our SUTHERLAND® 2000™ Rub Tester has been recognized as the industry’s standard for testing abrasion resistance. It offers 4 speeds, allowing you even greater flexibility. The Danilee brand has an established reputation for providing an exceptionally qualified rub testing product. Request a quote today!